Although God had called Apostle Dorsey at a young age, Apostle Dorsey began preaching while holding the office of a deacon in the year of 1991. After a 15 year stretch of drug dealing and abuse, Apostle Dorsey finally yielded to the voice of God while behind prison bars in which he was filled with the Holy Ghost. Once released from prison, Apostle Dorsey began to step into his destiny by dedicating his life to God and the Church. Apostle Dorsey became a faithful member of the One Way Church of Christ under the leadership of Bis. Gregory Tucker in the year of 1990, in which he served there for over 8 years. It was while he attended One Way Church, Apostle Dorsey met his wife Lady elect ,Deloise Dorsey in which they married in October of 1991. Since that time the Lord has given Apostle Dorsey a mandate to return to the prison system and preach the Gospel of the Kingdom of God, which Apostle has won well over 5,000 souls for the Kingdom and is believing God for 10,000 more by the year 2012. Apostle and Lady Dorsey has traveled around the country as well as around the globe including Europe touching many lives with the Gospel of the Kingdom. Apostle Dorsey is also the Pastor and founder of Tehillah Word Ministries Int'l located in laurelton New York in which he's pastored for 10 years and is also the founder of one of the greatest worship teams in the land called "TehillahProject". In 2005, Apostle Dorsey released his first single under the "T.I.E. Records Label" entitled "Lift The Saviour Up" which could be heard both on the radio as well as the Internet. Apostle Dorsey is about to release the full album in the summer of 2009 entitled..."Thy Kingdom Come Pt.1" on the T.I.E. Records label. Apostle Dorsey and Tehillah Word Ministries are members of the "KNCI Network" under the leadership of Bis. Levy H. Knox of Living Word Christian Center of Mobile Alabama. Apostle Dorsey has a vision to bring the Body of Christ into the unity of faith concerning the Gospel of the Kingdom of God and he believes this will be accomplished once the Church begins to not only worship God, but worship with understanding which will release the "mystery of the Kingdom". 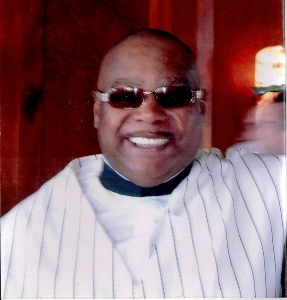 Apostle Dorsey is very active in his local community and has become a major voice both in the local and national community of government as well, however he believes and always says..."You can't fix the wound if your absent from the wound" so being involved at all levels from the Church to the secular communties is part of Apostle E.C. Dorsey's vision.